Technology advancement has grown immensely in a short period. Many countries consider technology as a big player to the growth of their economies. But advancements in technology is mostly noticed in many of the developed countries. There are different types of technology advancement in the world currently but ‘Robotics’ has caught my attention. This term ‘Robotic’ comes from the word robot. A robot is an independent or semi-independent mechanical artificial representative directed by a computer program. Robotics, on the other hand, is part of the technological advancement which comprises of scheming, manufacture, operation, and use of robots in various sectors of the economy. Joseph Engelberger and George C. Devol and Isaac Asimov came up with Robotics in 1956. Joseph was a physicist and an engineer, George was an inventor and an engineer while Asimov was a biochemistry professor at Boston University. In 1959 George and Joseph built the first industrial robot known as Unimation. The first robot was developed in 1961 and was called ‘Unimate’. Currently, there are thousands of robots in various sectors but are mostly found in the manufacturing sector. In recent years the production of robots has risen rapidly. This is because there are different types of robots performing completely unique work. Between 2000 and 2008 the sales of robots only increased by thirteen percent. But since 2010 up to today, the sales of robots has sharply increased. Use of robots has rapidly increased in Asian countries in the recent past due to some reasons. Before robotic revolution became a reality many people thought countries it will affect their economic growth, but know it is seen as that this revolution has surpassed their expectations. A report by IDC has shown that by 2019 the global market for robotics will be $135 billion and there will be an annual growth rate of seventeen percent. Also, they have estimated by the next couple of years many jobs will be done by robots in Asia. Southeast Asia is considered as the most affected by this revolution. This is because many industries consider the use of robots rather than employing human beings. The garment sector is the most affected. This is sole because is labor intensive and manufacturers prefer robots because they are more efficient rather than human beings. China is considered to be having a small working population, hence the robotic advancement is almost in all sectors of their economy. The study shows that by the year 2060 the average Chinese person will at the age of 50 years. Due to the use of robots, China’s supply of robots has grown by more than 20%. But where does China buy most of its robots? 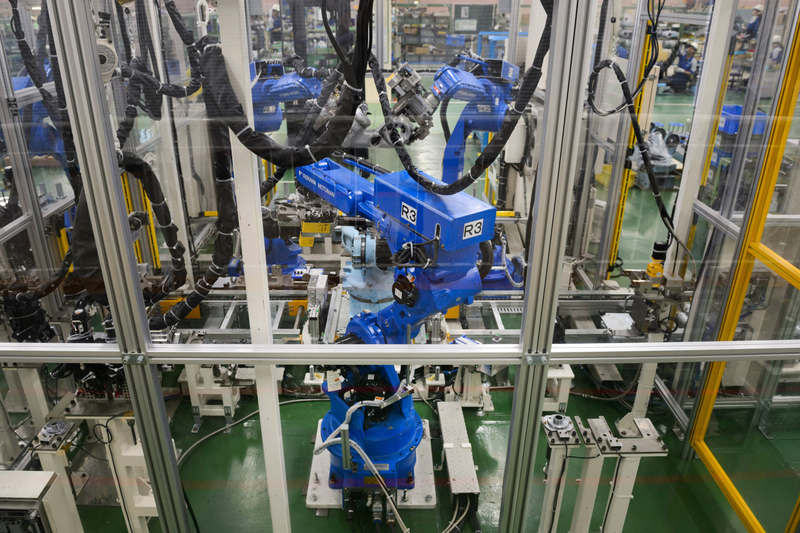 Known for its technological advancements, Japan is the major producer of robots that are conveyed to China. A region like Pearl River Delta in China known as the electronics capital of the world has decided to abide by Robotic revolution due to an enormous salary increase that began in 2008. Hence pay more for labor leading profit reduction. For such companies, they have decided to reduce their human workforce and bring robots as replacements. Rapoo a leading keyboard and mice producing company has recently laid off more than twenty-five thousand workers that constitute to almost 80% of the initial human workforce. Endangering the number of Chinese people who are becoming unemployed. A report by the Chinese government has shown that the employment rate is low at 4.8% but is worse in most cities. In Japan robotic revolution has led to the different type of advancements in its economy such as a robot restaurant. In Nagasaki, there is a robot restaurant, its director says that the use of robots has improved his earnings lately. Also, he considers robots because they are neat and efficient. China is not the only country suffering from a few numbers of people who can work, Japan is also having the same problem. Hence have decided to experiment with the ways in which they can work more efficiently with few numbers of people. In the logistics sector robots have almost taken off human workforce, an example is a company in China called JD. This company last year started making drone deliveries so as to cut the cost of its labor. Every other year Tokyo has been the host of the International Robot Exhibition which is considered to be one of the largest robot shows in the world. 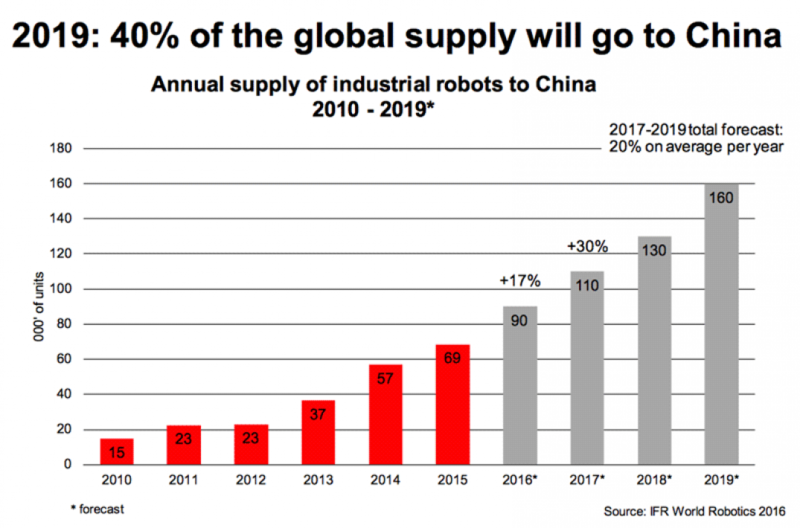 Statistics by International Federation of Robotics show that by the year 2019 China will have owned more than 40% of the world’s industrial robots. In support of this statistics, Asia has the largest robot production company known as Yaskawa Electronic Corporation situated in Kitakyushu, Japan. It produces large industrial robots that weld car parts. There are robots that work together with human, they are referred to as ‘cobots’. It is seen in future cobots will take over the robotic industry. 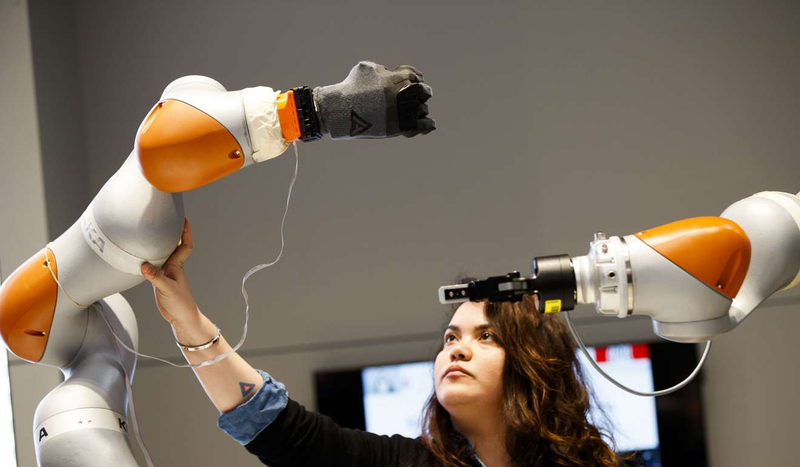 Elephant Robotic has initiated the production of ‘cobots’. The founder of Elephant Robotics says that these cobots are very light and do not move quickly compared to robots. They are safer to work together with humans than the original robots. Robotic revolution has brought change to what was viewed only possible by the human hands, mind, and eyes. In more than six years the sale of industrial robots has risen to more than 140%. These shows in the next few year’s nations that fail to teach their population with relevant skills for the 21st century, may have an enormous number of unemployable and jobless population.